The healthcare industry is experiencing a much-needed shift in its approach to workplace safety. While historically, hospital administrations have been focused on patient care and containing costs, there is increasing recognition of the need to protect their own staff from on-the-job injuries – particularly severe Low Back Pain (LBP). Not only does LBP cause tremendous pain and suffering, it threatens nursing careers and exacerbates the shortage of nurses in the healthcare workforce. In developed nations, 42% to 57% of nurses experience LBP, which is caused by musculoskeletal injuries to the lower spine. LBP also ranks as the second most common reason for workforce loss and health expenses across all industries, with nurses experiencing these types of injuries more frequently than most other occupations. Unless preventative measures are taken, these costly injuries will inevitably result from the sheer nature of nursing work. 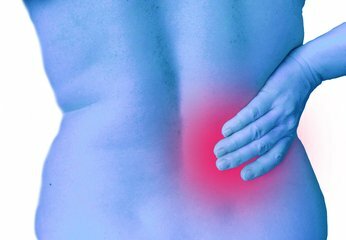 Essential daily nursing tasks such as lifting and transporting patients, moving medical equipment, or pushing medical supply carts can all result in serious musculoskeletal injuries of the lower back. In addition to causing physical suffering and inflating medical costs, low back pain can threaten the high standards of care hospitals are charged with providing. Older, more experienced nurses are also the most vulnerable to experiencing debilitating LBP and the musculoskeletal injuries that cause it. Their increased vulnerability decreases the number of older nurses capable of working, and deprives hospitals of their most experienced nursing staff. Higher nursing turnover of the most seasoned professionals makes it difficult for any hospital or clinic to maintain the quality of their services. Thankfully, ergonomic interventions are proving to mitigate the problem of LBP-related nursing turnover. In some cases, investing in the right ergonomic equipment and preventative measures has improved the retention of experienced nurses — defined as older than 46 in one study — and cut turnover rates by half. By tackling musculoskeletal injuries head on, we can solve the problem of debilitating low back pain in nursing, and prevent the suffering, medical expenses, and nursing turnover that results. There are a variety of motorized solutions designed to eliminate the push/pull forces the cause musculoskeletal injuries. Motorized medical supply carts, medication carts, or tuggers for towing heavy medical equipment can all dramatically reduce low back injuries, in addition to others of the wrist and elbow that nurses and other hospital staff typically experience. While patient transport can also cause LBP, non-patient handling activities should not be overlooked. Total ergonomic solutions that address all contributors to LBP and musculoskeletal injuries are the most effective in reducing nursing turnover and preventing injury. It takes a hefty boost in revenue for most businesses to cover the cost of a single musculoskeletal injury. For the healthcare industry, a serious investment in training, ergonomic equipment, and systems of data collection and accountability actually saves hospitals considerable resources. Better yet, the boost in morale and quality of life that nurses experience in safer working environments is priceless. For more information on musculoskeletal injuries in healthcare, or the ergonomic solutions that prevent them, connect with one of our engineers via the Contact page.